Olive oils produced on the Meneghetti estate represent supreme products of olive-growing industry, embodying at the same time both pleasure and health. They offer a triumph of aroma and taste, while strong impressions they leave put them on equal terms with great wines. 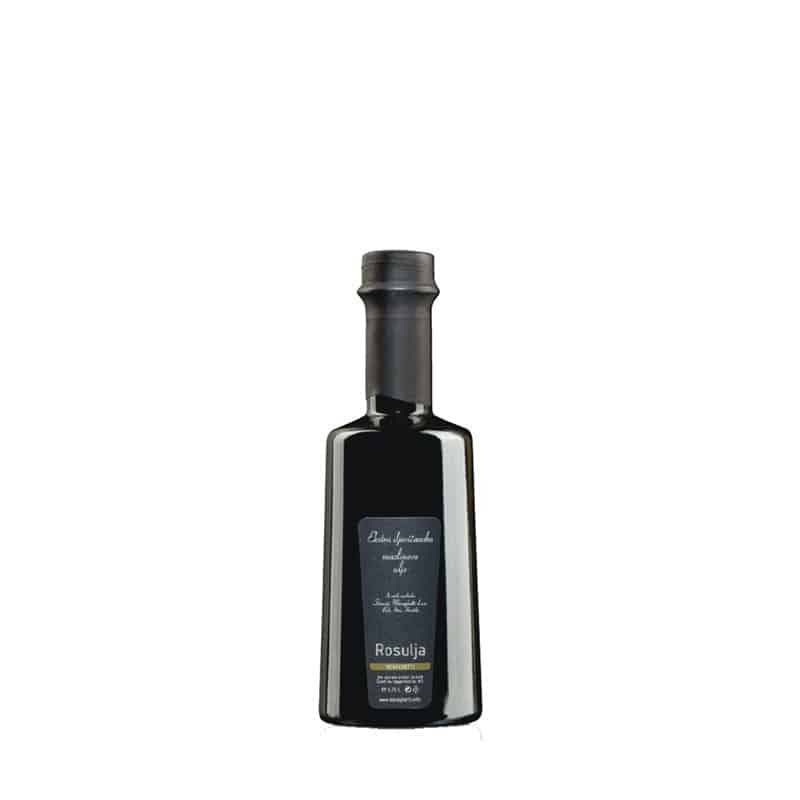 The most valuable recognitions is definitely the inclusion in the world’s leading olive oil guide „L’extravergine“ in 2007,when the extra-virgin olive oil „Izbor“ was chosen as the world’s best oil in one of the most challenging olive oil categories – olive oils with „intensely fruity“ aroma. Rosulja or Rošinjola is a varietal recognized in Istria as an excellent oil crop of intensive odour with notes of medium mature tomato, artichokes, lettuce and dry fruits. A characteristic of this oil is a pronounced and, at the same time, well balanced piquancy and bitterness. A refined and strong taste of rosulja is enriched by the admixture of healing herbs. The oil is clear; it has an intense golden colour with shades of green. Pairs well with meat, venison, oily fish and similar.